Singapore Airlines’ (SIA) new brand campaign, “The Lengths We Go To,” focuses on the airline’s inflight service on its long-haul routes from the U.S. and positions SIA as a total extension of Singapore itself. The campaign, which comes amid several new service improvements, is aimed at both the passengers in the front of the plane and in coach. 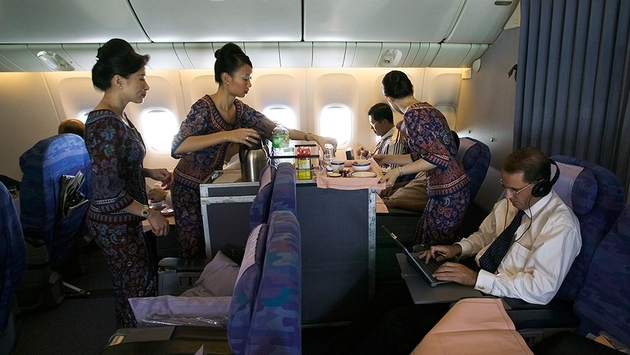 Cabin service increases in importance as a competitive edge on long-haul flights, and Singapore-U.S. flights are among the longest in the world. Television, print and digital platforms will all carry the campaign, which uses testimony from passengers. The Singapore Girl, SIA’s traditional advertising messenger, will appear in three of the campaign’s short features. Three commercials will be released over three weeks, followed by a film incorporating all three advertisements later this month. Additionally, a microsite is being launched on singaporeair.com and the airline’s YouTube page has been revamped.